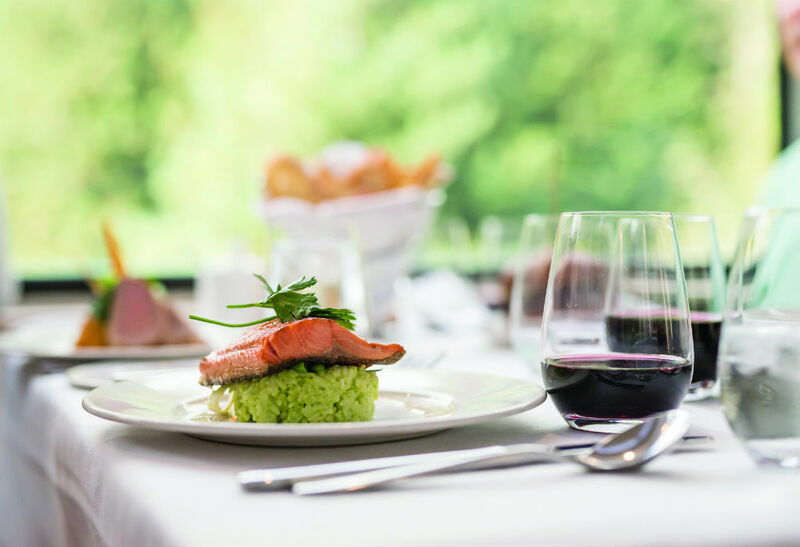 The Rocky Mountaineer is synonymous with luxury: beautiful mountain views, fresh gourmet food, and plush interiors. 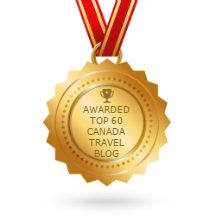 It’s no wonder that it’s considered one of Canada’s quintessential bucket list journeys. For travellers who really want luxury, however, there is the option to upgrade to GoldLeaf Service. On-board you’ll be treated to a few delightful extras in the dedicated GoldLeaf carriage. Here are six of those benefits. 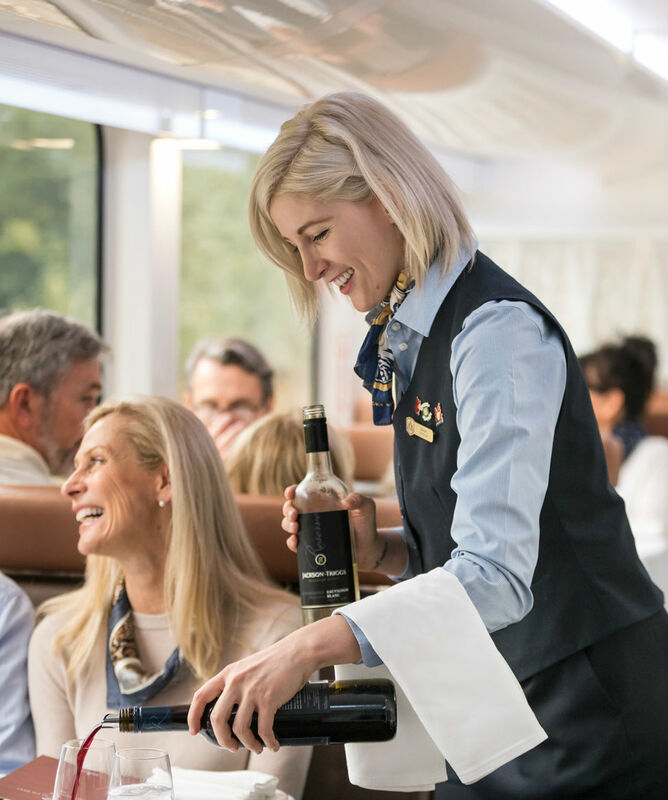 Start your Rocky Mountaineer adventure off in style with a welcome aboard toast in the upper level of the GoldLeaf coach. 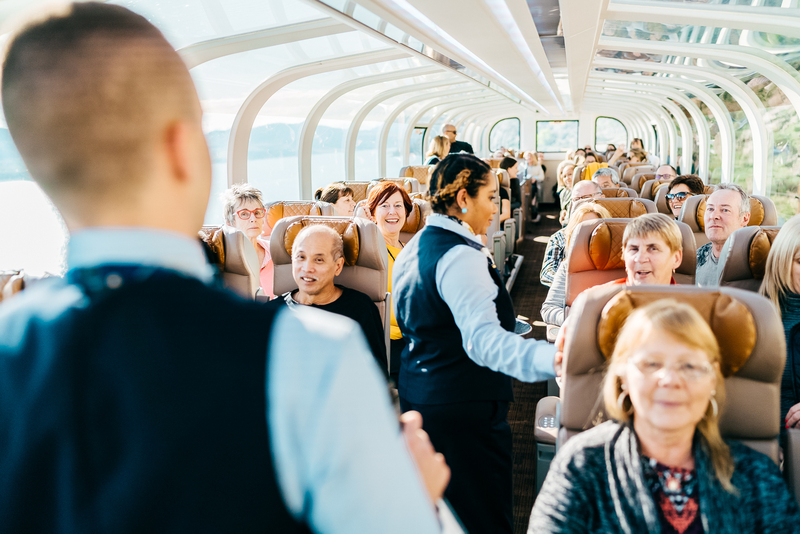 Throughout the journey, you’ll be well looked after by three to four hosts, who will delight you with stories of the Rocky Mountaineer. 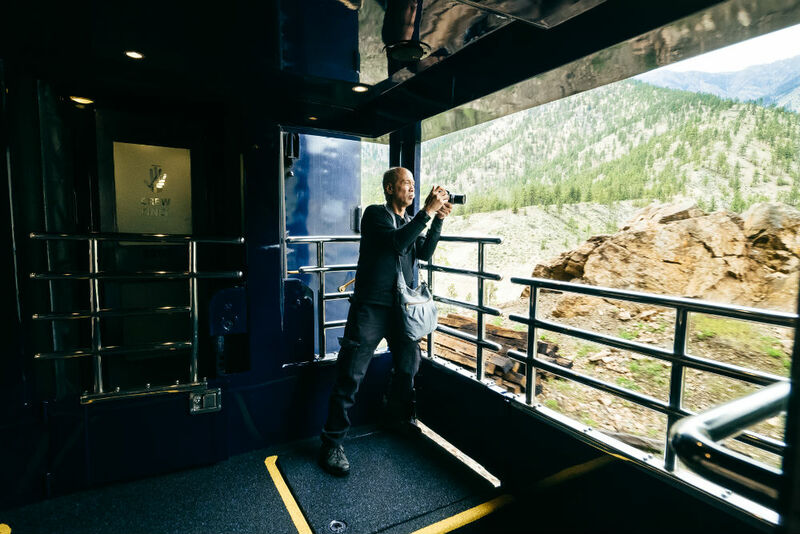 On the top level of the GoldLeaf coach, you’ll be treated to incredible panoramic views of the Rocky Mountains through a domed-arch roof. 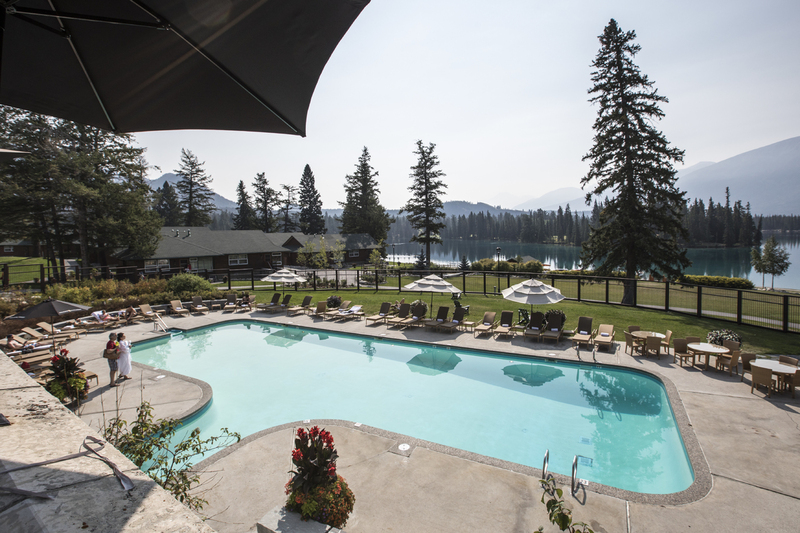 You can also step outside and breathe in the fresh crisp air of the Rocky Mountains from the large outdoor viewing platform. Then on the bottom level of the coach, you’ll enjoy sit down meals with table service. All food is 5-star and specially prepared by executive chefs in the onboard kitchen. Breakfast and lunch as both included in the price. Gourmet snacks are also complimentary. And it’s not just food either – you can enjoy your favourite tipple with dinner time too! 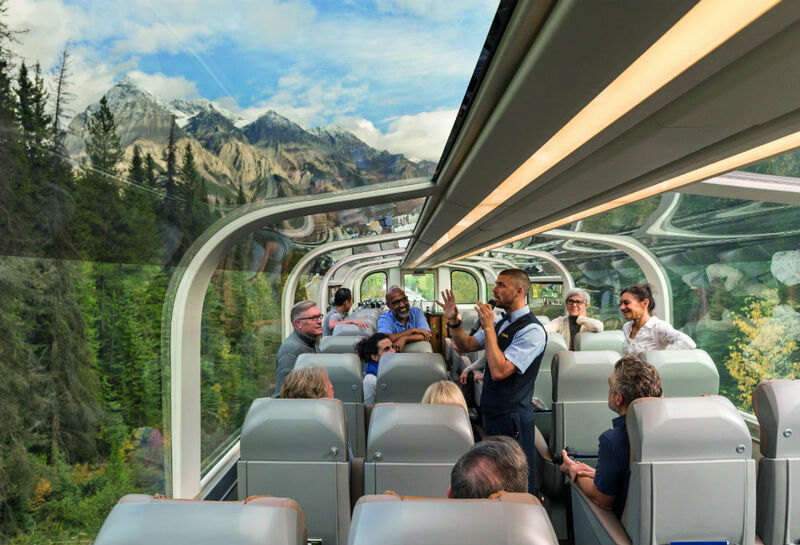 What makes the Rocky Mountaineer different from other rail tours is that you stop overnight and transfer to a hotel. And when you book GoldLeaf Service you’ll receive accommodation upgrades, such as superior views or more spacious rooms.